Jacques Poitras joined the Chemistry and Materials Department of Pyrotech BEI in 2019 as a chemist expert and plastics failures analyst. Originally from L'Assomption, Quebec, Jacques obtained a doctorate degree in Chemistry at the Université de Montréal in 1994. He began his career in 1992 (and returned in 2017) at the Canada Conservation Institute in Ottawa, as a scientist in conservation at the Analytical Research Services. 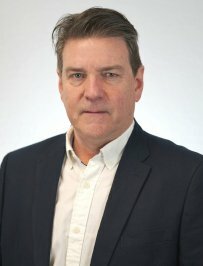 In 1994, Jacques joined the Xerox Research Centre of Canada in Mississauga as a chemist in research and development for the Materials Characterization Group. In 1995, for more than 20 years, he has worked for one of Canada's largest private industrial and legal expert laboratories (Exova, Bodycote and Technitrol), including 15 years as a manager for the Consumer Products, Fuels‑Lubricants and Textiles Departments. Jacques has expertise in the oil, polymer, pharmaceutical, metallurgical, and textile industries as well as in projects involving Canada's two levels of government. He has been a member of L’Ordre des chimistes du Québec since 1996 and is recognized as an expert witness in the Courts of Quebec. In his spare time, Jacques enjoys playing golf, fishing kayaking, swimming as well as family and friend gatherings.